Following critical events many people experience a period of emotional and cognitive disturbance before re-establishing well-being without the need for formal psychological support. 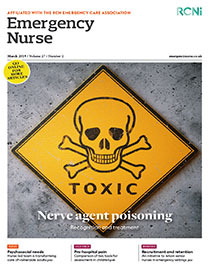 Those working in emergency care have frequent and repeated exposure to such incidents and are therefore at increased risk of psychological distress. This article discusses the psychological sequalae of the author’s witnessing and involvement in the immediate on-scene care of those injured in the Shoreham, England air show crash in August 2015. Using narrative reflection, the author describes, with reference to the literature, his psychological journey drawing particularly on the conservation of resources theory. Within this is the recognition that unduly early and misinformed emphasis on psychological disorder and post-traumatic stress disorder are not only unhelpful but may deliver the person into greater distress and long-term mental health problems.